Marina de Lagos is hosting a new and used boat show, the Marina de Lagos Boat Show, on the 26th and 27th March 2016, Easter weekend. At this free entry event, visitors will get to know some of the new boat models and will come across good opportunities in the used market. 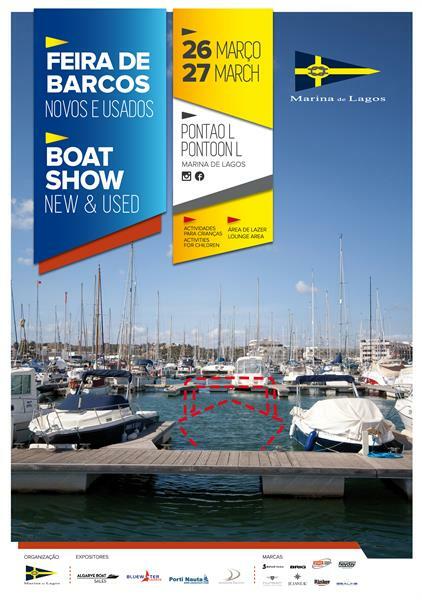 Marina de Lagos Boat Show will have the participation of Algarve Boat Sales, Bluewater Algarve, Portinauta and Wonder Yachts, companies that are based in Marina de Lagos, and will show brands such as Bryant, Hunton, Rinker, Bénéteau, Sealine, Jeanneau, Heyday WT1 Wake Tractor, Brig, among others. The exhibition will be around the North part of the marina, on pontoon L and also on land, and demos will be available for interest clients. The event is open to all the family - the Marina de Lagos Boat Show will have a pleasant lounge area where visitors can enjoy a drink while the children can get in the water to try out some nautical activities that will engage them in the love of the sea.